One last show for September in Brooklyn, NY then we get excited for fall with shows in ON & QC. Canada, we’re coming back! Get tickets while we’ve got ‘em. This was an amazing evening! the mix between the WSO and Royal Canoe was spectacular and music nerd's dream. Also the overall production value of the show was top notch. I look forward to seeing other projects like this in the future. Amazing performance as always! 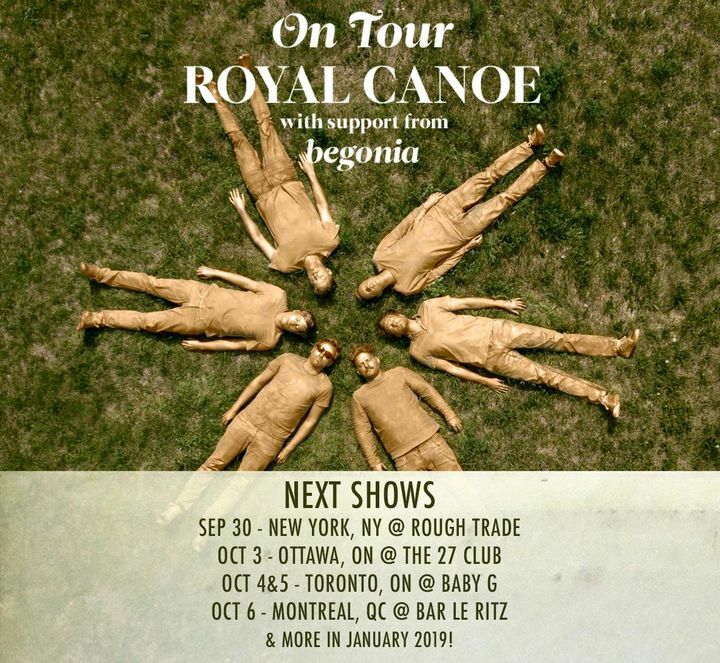 Can't say enough good things about Royal Canoe to do them justice!